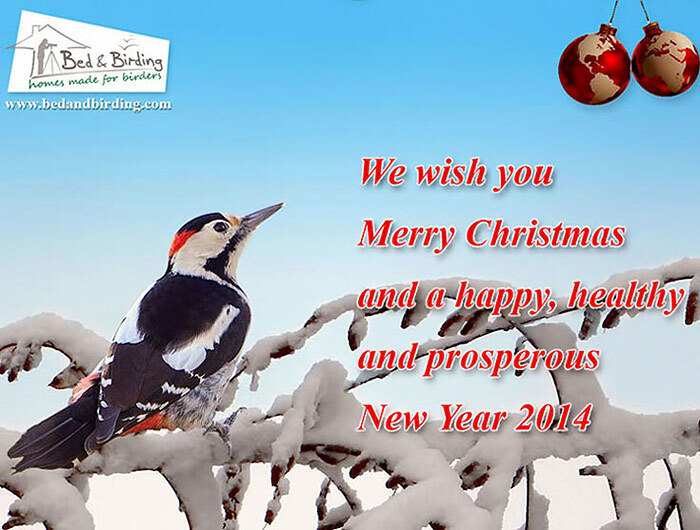 Dear Accommodation Providers, Dear Partners, Dear Fellow Birders, Visitors and Guests! We are delighted to say that Bed & Birding is developing well beyond our initial expectations. We have already doubled the number of our well-located partners that combine memorable accommodation with the most careful attention to the needs of birders and nature lovers. We are sure that 2014 will already be mutually rewarding for both, our franchise partners as well as all our visitors and guests. Meanwhile, we will continue to expand the Bed & Birding network to offer ever more choice and quality birding. We wish you all a Merry Christmas and a happy, healthy and prosperous New Year.